With the announcement that Felipe Massa is heading for retirement, a new twist was added to F1’s increasingly silly ‘silly season’. 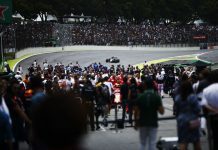 With only Mercedes, Red Bull and Ferrari having confirmed their lineups for next year, there are a few drivers whose future plans are key to understanding how the grid will line up next year. Perez remains an option for several teams as it is widely known that his sponsors are considering their options in Formula One. Perez would be an attractive option for any midfield team right now as he is in terrific form and also brings significant funding from his array of Mexican sponsors. His current employers, Force India, have made it clear that they want to keep him, but there are other options available to Perez. A move to Williams is a possibility with the announcement of Massa’s departure, but that may be considered a sideways move with the team having the same power unit as his current team Mercedes. A move to Renault would be a risk given their current form, but his sponsors may see the team as an attractive option in the long-term. As their works team, Renault will no doubt pump some serious money into the team to ensure they are competing at the front in the coming years; but it’s a risk and any major development will take time. Whether we like it or not, Jenson is coming towards the end of his Formula One career, and we should find out soon whether this is his final season in the sport. Staying on with McLaren is an option, but in keeping him, McLaren will surely face the prospect of losing the highly rate Stoffel Vandoorne who has made it clear he wants to be racing next season. If Button decides he wants to continue racing. A return to former team Williams is another option, although it is thought that Button’s estimated $13m salary might prove a sticking point for the team. Another of Button’s former employers, Renault, have recently said that they’re looking for a ‘charismatic’ lead driver to take the team forward. Jenson would fit the bill, but at 36, he’s unlikely to be a long-term option for the team. After his dreadful recent run of form, Kvyat is facing an uncertain future in the sport. Just two points to show from his past ten Grands Prix is not the sort of form that ultimately leads to job security. At the time of his demotion, there did not seem to be any immediate threat to his position, but then Pierre Gasly suddenly found his form. GP2 feature wins at Silverstone, Budapest, and Spa have given Red Bull a real headache. Whilst Kvyat shows no clear signs of improvement, Gasly is knocking very hard on F1’s door. The next few races will be critical for both, but if Kvyat is moved on, he may yet find a seat elsewhere in Formula One. 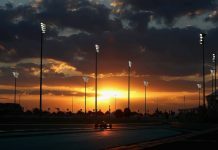 Williams and Force India may offer a more relaxed environment in which Kvyat could flourish, after all, they’ve rejuvenated the careers of both Felipe Massa and Sergio Perez in recent years. Failing that, Renault may decide that at 22, Kvyat is the right age to grow with the team as they start their ascent up the Formula One pecking order. He may, however, lack the “charisma” that they are are apparently looking for. Nasr could be an option for Williams as a replacement for fellow countryman Massa. Nasr was test driver with the team back in 2014 and brings with him a serious wad of cash from Banco do Brasil sponsorship. Rumoured to be unhappy at Sauber. My heart says McLaren will stick with Jenson, but my head says they’ll go with Stoffel. If they don’t, then Vandoorne could be an option for Williams, Renault, or even Manor if Renault decide to give Ocon a race seat next year. Ocon has bags of potential and the benefit of links with both Mercedes and Renault (don’t ask me to explain how that works). I think we’ll see Ocon back at Manor for a second season, but Renault do appear to be considering him for a race seat.